A Chinese navy plane crashed in Hainan province on Tuesday killing two crew members, the military said. A short statement said the crash happened during a training exercise over rural Ledong county in the southern island province. No one else was reported to have been injured after the plane hit the ground and the cause of the incident is being investigated. Footage that purported to be taken from the crash site started circulating on social media after the accident. The mobile phone footage, which news portal 163.com said was taken in Hainan, showed smoke rising from piles of wreckage next to a damaged water tower as bystanders gathered at the site. The person who uploaded the footage said the plane had hit the water tower before crashing into the ground. The PLA’s official statement did not specify the type plane that crashed, although unverified witness account online said it was a twin-seat Xian JH-7 “Flying Leopard”. The JH-7, which entered service with the navy and air force in the 1990s, has been involved in a number of fatal accidents over the years. The country’s worst military air accident in recent years happened in January 2018. At least 12 crew members died when a PLA Air Force plane, believed to be an electronic reconnaissance aircraft, crashed in Guizhou in the southwest of the country. Between 2016 and 2017, there were at least four accidents involving the navy’s J-15 “Flying Sharks”, one of them resulting in the death of the pilot. Military commentators have previously said that China’s drive to improve its combat readiness, which includes the building of new aircraft carriers and warplanes, has resulted in a serious shortage of qualified pilots. To fill the vacancies the Chinese military has started a major recruitment drive and intensive training programme for pilot pilots. Currently China has one aircraft carrier, the Liaoning, in service, which can carry a maximum of 24 J-15s as well as other aircraft. Meanwhile, the new home-grown carrier Type 001A will soon be commissioned, which is designed to accommodate to carry eight more fighters. In addition, construction is believed to have started on another carrier that will be able to carry heavier and more advanced warplanes. According to figures from the end of 2016, there were only 25 pilots qualified to fly the J-15 while 12 others were in training. 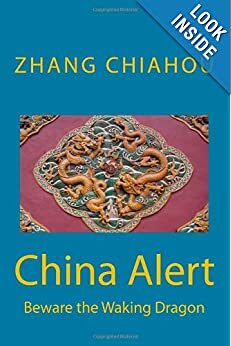 Most of the Chinese navy’s pilots have been redeployed from the air force, which is itself in need of more trained pilots. This year the navy for the first time began a nation-wide programme to scout out potential pilots. Speaking on the sidelines of the ongoing legislative meeting in Beijing Feng Wei, a PLA pilot from the Western Theatre, said the military was currently intensifying its pilots’ training as increasing amounts of new equipment entered service. “Personnel quality is the key to everything,” he added. A MiG-21 fighter jet of the Indian Air Force crashed in Rajasthan’s Bikaner on Friday. The plane crashed after it reportedly suffered a bird hit. The plane had taken off from Nal near Bikaner. The pilot is said to have ejected safely. Bikaner SP Pradeep Mohan Sharma said the MIG aircraft crashed in Shobhasar ki Dhani, 12 km from Bikaner city, news agency PTI reported. Sharma said police teams have rushed the spot to cordon off the area. No loss of life has been reported. A statement by the IAF said that the MiG-21 had taken off from the Indian Air Force’s Nal airbase in Rajasthan and that it was on a routine mission. In recent times, the IAF has witnessed a series of crashes involving fighter jets and choppers. On February 1, a Mirage 2000 fighter jet had crashed during a routine testing flight. Both the pilots in the jet had died after their safety equipment gave way. The pilots were on an “acceptance sortie” of the Mirage 2000 trainer aircraft after it was overhauled by the Bengaluru-based Hindustan Aeronautics Limited (HAL). Barely a fortnight later, two Surya Kiran Hawks were involved in a collision that led to the death of one pilot. The crash had taken place barely days before the 12 edition of Aero India. On February 12, a MiG-27 fighter jet had crashed at the Pokhran firing range after taking off from the Jaisalmer air base. The jet was on a training mission. The pilot managed to eject safely from the jet before it crashed. More recently, on February 27, a Mi17 helicopter of the Indian Air Force had crashed at Budgam in Kashmir. All six IAF personnel on board the chopper were killed. A civilian was also killed in the crash. The MiG-21 fighter jet has been in the news recently after Wing Commander Abhinandan Varthaman, who was flying a similar aircraft shot down a Pakistani F-16 before crashing in Pakistan. The MiG-21 is a supersonic jet fighter and interceptor aircraft, designed by the Mikoyan-Gurevich Design Bureau in the erstwhile Soviet Union. PM Modi said that he told him ‘let us fight against poverty and illiteracy’ and Khan gave his word saying he is a Pathan’s son, ‘but went back on it’. Pakistan Prime Minister Imran Khan on Sunday asked his Indian counterpart Narendra Modi to “give peace a chance” and assured him that he “stands by” his words and will “immediately act” if New Delhi provides Islamabad with “actionable intelligence” on the Pulwama attack. Khan’s remarks came a day after PM Modi in a rally in Rajasthan, recalled his conversation with the Pakistan PM during a congratulatory call after he became the country’s premier. PM Modi had told him “let us fight against poverty and illiteracy” and Khan gave his word saying he is a Pathan’s son “but went back on it”. “There is consensus in the entire world against terrorism. We are moving ahead with strength to punish the perpetrators of terrorism…The scores will be settled this time, settled for good…This is a changed India, this pain will not be tolerated…We know how to crush terrorism,” PM Modi further said. PM Modi should “give peace a chance”, Khan said in the statement. In his first statement issued since the February 14 attack, Pakistani Prime Minister Imran Khan had on Tuesday accused India of blaming his country “without evidence” and warned of retaliation against any military action by India. However, he assured India that he would act against the perpetrators of the deadly Pulwama terror attack, carried out by Pakistan-based Jaish-e-Mohammad (JeM) terror group and said that the issue between the two countries can be solved through dialogue. India had called Khan’s offer to investigate the attack if provided proof as a “lame excuse”. The already sour relations between India and Pakistan have worsened over the past few weeks as New Delhi accused Islamabad of the Pulwama attack. India has accused Islamabad’s spy agency ISI of being involved in the attack and has maintained that the terror group JeM is a “child of the Pakistan Army”. Following the attack, India immediately withdrew the ‘Most Favoured Nation’ status granted to Pakistan and initiated steps to isolate the neighbouring country from the international community. Earlier, India had also announced its decision to stop the flow of its share of water from the Beas, Ravi and Sutlej to Pakistan. Prime Minister Narendra Modi had in many of his public speeches after the attack, said that the security forces have been given full freedom to decide the future course of action regarding the terrorist attack in Pulwama. India’s neighbours, including Sri Lanka, Maldives, Nepal, Bangladesh, Afghanistan and Bhutan—and other countries like Saudi Arabia, UAE, Iran, Russia, Germany, Canada, UK, Australia and Canada came out in strong support of New Delhi following the terror attack. The bus was part of a convoy of 78 vehicles carrying around 2500 CRPF personnel from Jammu to Srinagar. Rakbar Khan: Did cow vigilantes lynch a Muslim farmer? 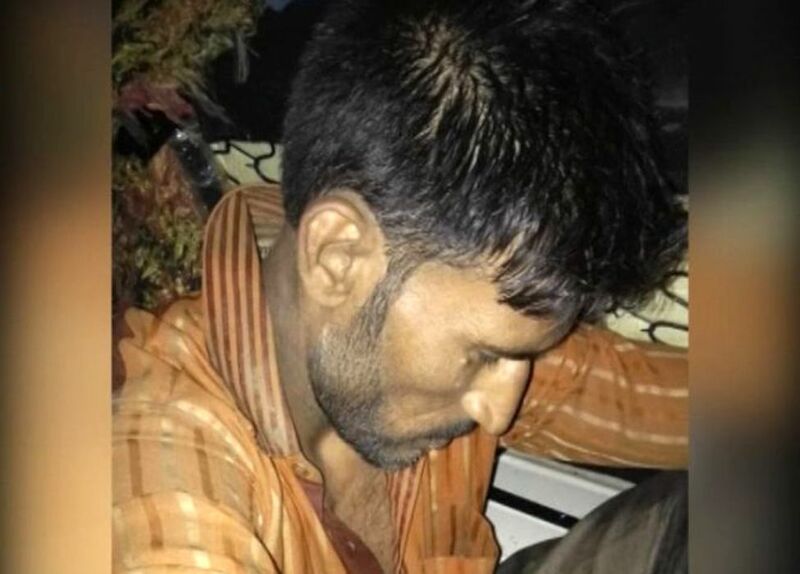 A Muslim dairy farmer was stopped late one night last July as he led two cows down a track in rural Rajasthan, south of the Indian capital, Delhi. Within hours he was dead, but who killed him, asks the BBC’s James Clayton – the “cow vigilantes” he met on the road, or the police? It’s 4am and Dr Hassan Khan, the duty doctor at Ramgarh hospital, is notified of something unusual. The police have brought in a dead man, a man they claim not to know. “What were the police like when they brought him in? Were they calm?” I ask him. “Are they usually anxious?” I ask. “Not usually,” he says, laughing nervously. The dead man is later identified by his father as local farmer Rakbar Khan. This was not a random murder. 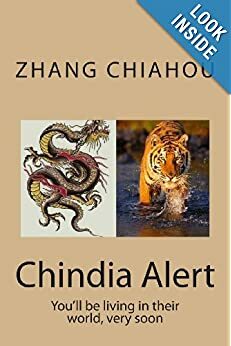 The story illustrates some of the social tensions bubbling away under the surface in India, and particularly in the north of the country. And his case raises questions for the authorities – including the governing Hindu nationalist BJP party. Rakbar Khan was a family man. He had seven children. He kept cows and he also happened to be a Muslim. That can be a dangerous mix in India. “We have always reared cows, and we are dependent on their milk for our livelihood,” says Rakbar’s father, Suleiman. That has changed. Several men have been killed in recent years while transporting cows in the mainly Muslim region of Mewat, not far from Delhi, where Rakbar lived. “People are afraid. If we go to get a cow they will kill us. They surround our vehicle. So everyone is too scared to get these animals,” says Suleiman. Everyone I speak to in the village where the Khans live is afraid of gau rakshaks – cow protection gangs. 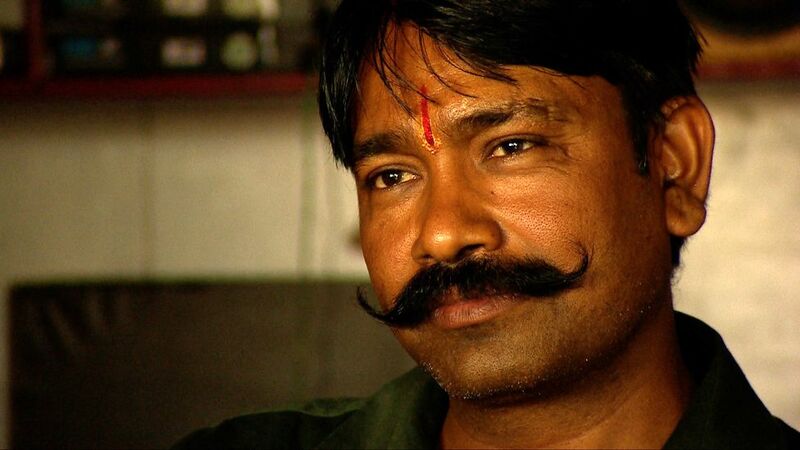 The gangs often consist of young, hardline Hindus, who believe passionately in defending India’s holy animal. 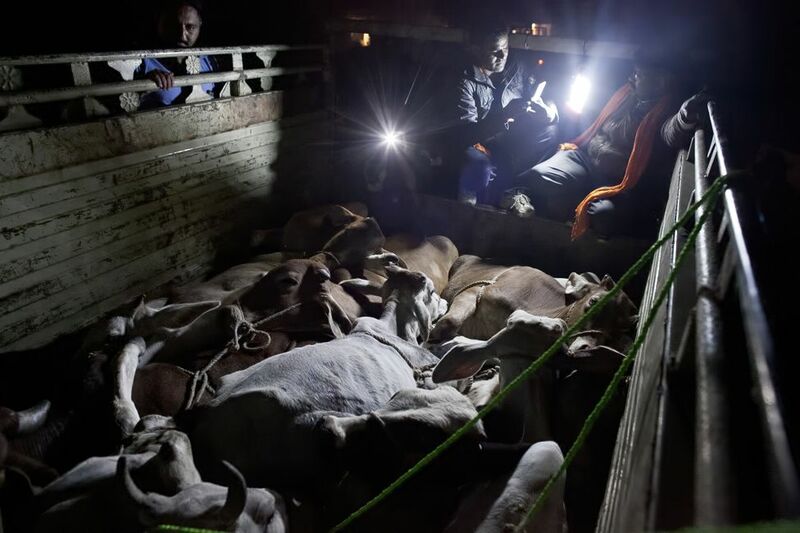 They believe that laws to protect cows, such as a ban on slaughtering the animals, are not being fully enforced – and they hunt for “cow smugglers”, who they believe are taking cows to be killed for meat. 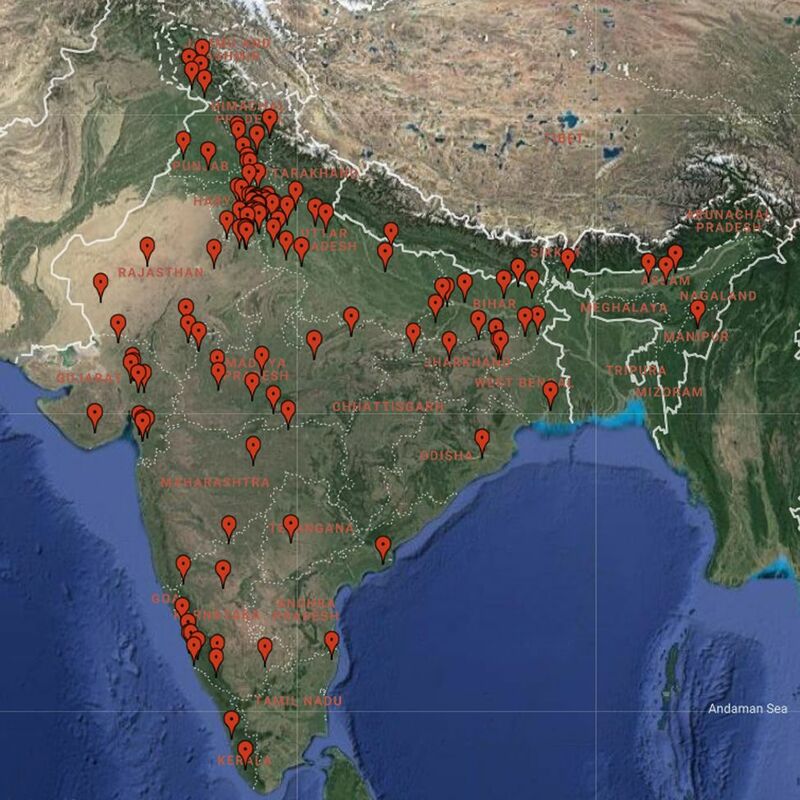 Often armed, they have been responsible for dozens of attacks on farmers in India over the last five years, according to data analysis organisation IndiaSpend, which monitors reports of hate crimes in the media. On 21 July 2018, Rakbar Khan met the local gau rakshak. There are some things we know for certain about what happened that night. Rakbar was walking down a small road with two cows. It was late and it was raining heavily. Then, out of the dark, came the lights of motorbikes. We know this, because Rakbar was with a friend, who survived. At this point the details become a little sketchier. There are three versions of the story. The gang managed to catch Rakbar, but his friend, Aslam, slipped away. He lay on the ground, in the mud and prayed he wouldn’t be found. “There was so much fear inside me, my heart was hurting,” he says. Aslam says that Rakbar was killed then and there. But there is evidence that suggests otherwise. 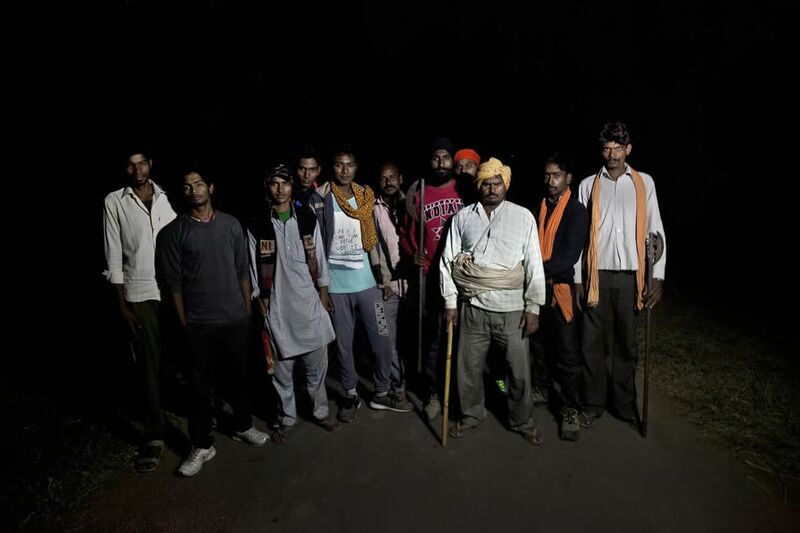 Much of what happened next focuses around the leader of the local cow vigilante group, Nawal Kishore Sharma. Aslam claims he heard the gang address him by name that night, but when I speak to Sharma, he denies he was there at all. 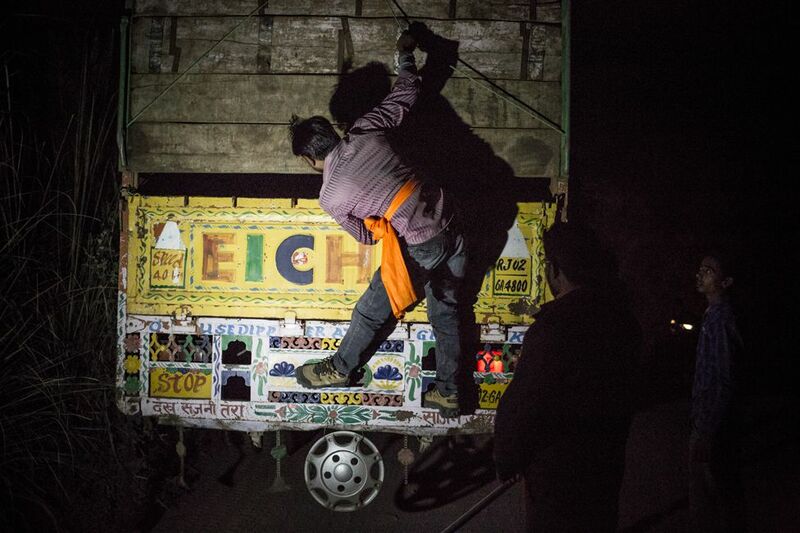 “It was about 00:30 in the morning and I was sleeping in my house… Some of my group phoned me to say they’d caught some cow smugglers,” he says. According to Nawal Kishore Sharma, he then drove with the police to the spot. “He was alive and he was fine,” he says. But that’s not what the police say. 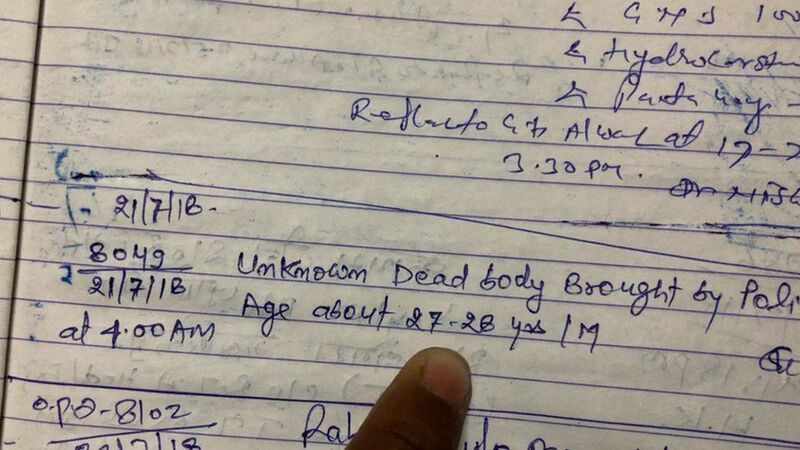 In their “first incident report” they say that Rakbar was indeed alive when they found him. “Nawal Kishore Sharma informed the police at about 00:41 that some men were smuggling two cows on foot,” the report says. “Then the police met Nawal Kishore outside the police station and they all went to the location. “There was a man who was injured and covered in mud. “He told the police his name, his father’s name, his age (28) and the village he was from. “And as he finished these sentences, he almost immediately passed out. Then he was put in the police vehicle and they left for Ramgarh. But this version of events is highly dubious. I go to the hospital in Ramgarh, where Rakbar was taken. Hospital staff are busily going through bound books of hospital records – looking for Rakbar’s admission entry. And then, there it is. “Unknown dead body” brought in at 04:00 on 21 July 2018. It’s not a long entry, but it contradicts the police’s story, and raises some serious questions. For a start, Rakbar was found about 12 minutes’ drive away from the hospital. Why did it take more than three hours for them to take him there? And if the police say Rakbar gave them his name, why did they tell the hospital they didn’t know who he was? Nawal Kishore Sharma claims to know why. He paints a very different picture of what happened to Rakbar. He tells me that after picking up Rakbar, they changed his clothes. He then claims to have taken two photos of Rakbar – who at this point was with the police. Sharma says that he went to the police station with the police. He claims that’s when the beating really began. “The police injured him badly. They even beat him with their shoes,” he says. At about 03:00 Nawal Kishore Sharma says he went with some police officers to take the two cows to a local cow shelter. When he returned, he says, the police told him that Rakbar had died. Rakbar’s death certificate shows that his leg and hand had been broken. He’d been badly beaten and had broken his ribs, which had punctured his lungs. According to his death certificate he died of “shock… as a result of injuries sustained over body”. I ask the duty doctor at the hospital whether he remembers what Rakbar’s body was like when the police brought it in. “It was cold,” he says. I ask him how long it would take for a body to become cold after death. “A couple of hours,” he replies. “I don’t want to talk about Rakbar’s case,” says Rejendra Singh, chief of police of Alwar district, which includes Ramgarh. Since Rakbar’s murder several police officers have been suspended. I want to know why. He looks uneasily at me. “There were lapses on the police side,” he says. I ask him what those lapses were. Three men from Nawal Kishore Sharma’s vigilante group have been charged with Rakbar’s murder. Sharma himself remains under investigation. The vigilante group and the police blame each other for Rakbar’s death, but neither denies working together that night. 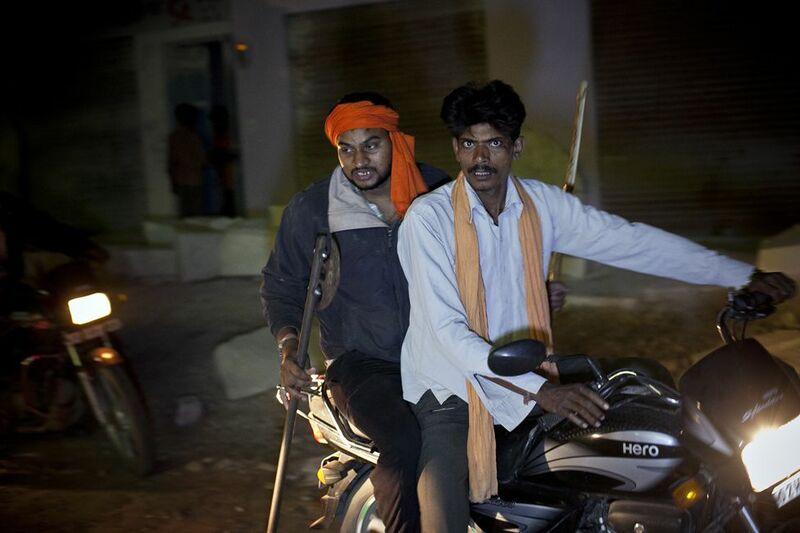 The way Sharma describes it, the police cannot be everywhere, so the vigilantes help them out. But it’s the police that “take all the action” he says. Much police activity in Rajasthan is focused on stopping cow slaughter. Across the state there are dozens of formal cow checkpoints, where police stop vehicles looking for smugglers who are taking cows to be killed. I visited one of the checkpoints. Sure enough police were patiently stopping vehicles and looking for cows. The night before officers had had a gun battle with a group of men after a truck failed to stop. These checkpoints have become common in some parts of India. Sometimes they are run by the police, sometimes by the vigilantes, and sometimes by both. This gets to the heart of Rakbar’s case. Human rights groups argue that his murder – and others like his – show that in some areas the police have got too close to the gangs. 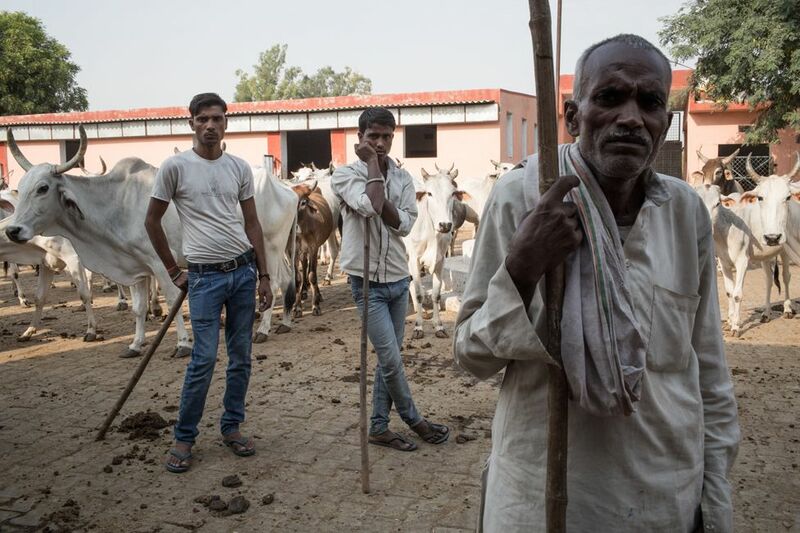 “Unfortunately what we’re finding too often is that the police are complicit,” says Meenakshi Ganguly of Human Rights Watch, which published a 104-page report on cow-related violence in India this week. In some areas, police have been reluctant to arrest the perpetrators of violence – and much faster to prosecute people accused of either consuming or trading in beef, he says. 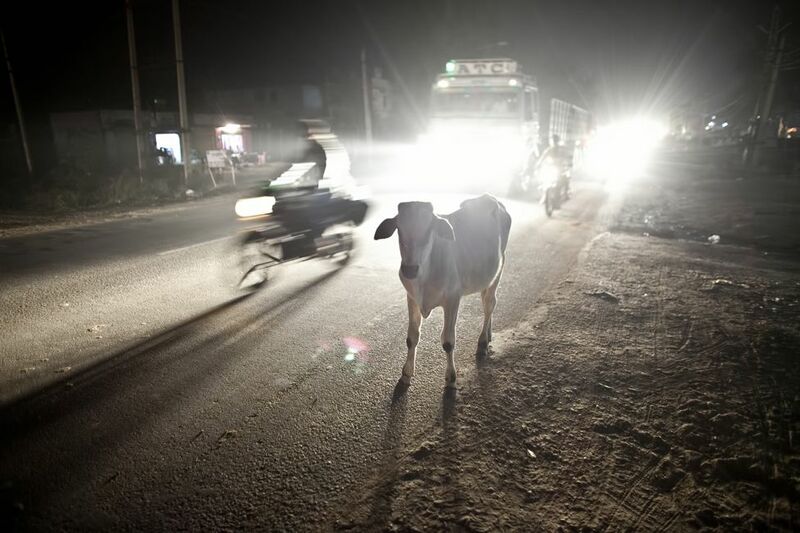 Human Rights Watch has looked into 12 cases where it claims police have been complicit in the death of a suspected cow smuggler or have covered it up. Rakbar’s is one of them. But this case doesn’t just illustrate police failings. Some would argue that it also illustrates how parts of the governing BJP party have inflamed the problem. Gyandev Ahuja is a larger-than-life character. As the local member of parliament in Ramgarh at the time when Rakbar was killed he’s an important local figure. He has also made a series of controversial statements about “cow smugglers”. After Rakbar’s death he said that cow smuggling was worse than terrorism. Gyandev Ahuja is just one of several BJP politicians who have made statements that are supportive of the accused in so-called “cow lynchings”. One of Prime Minister Narendra Modi’s ministers was even photographed garlanding the accused murderers in a cow vigilante case. He has since apologised. Meenakshi Ganguly of Human Rights Watch says it is “terrifying” that elected officials have defended attackers. “It is really, at this point of time, something that is a great concern, because it is changing a belief into a political narrative, and a violent one,” he says. 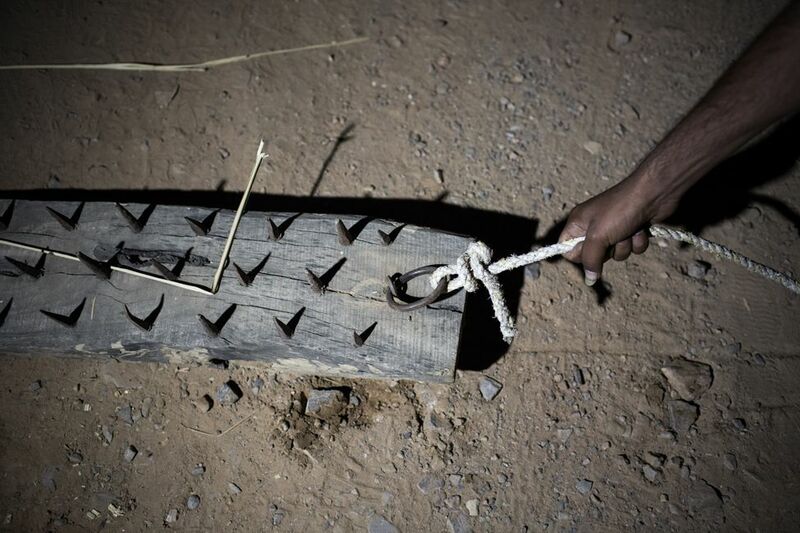 The worry is that supportive messages from some of the governing party’s politicians have emboldened the vigilantes. No official figures are kept on cow violence, but the data collected by IndiaSpend suggests that it started ramping up in 2015, the year after Narendra Modi was elected. IndiaSpend says that since then there have been 250 injuries and 46 deaths related to cow violence. This is likely to be an underestimate because farmers who have been beaten may be afraid to go to the police – and when a body is found it may not be clear what spurred the attack. The vast majority of the victims are Muslims. A BJP spokesman, Nalin Kohli, emphatically rejects any connection between his party and cow violence. “To say the BJP is responsible is perverse, inaccurate and absolutely false,” he tells me. I ask him about Gyandev Ahuja’s inflammatory statements. “Firstly that is not the party’s point of view and we have very clearly and unequivocally always said an individual’s point of view is theirs, the point of view of the party is articulated by the party. But a month after this interview, Ahuja was made vice-president of the party in Rajasthan. Shortly afterwards, Prime Minister Narendra Modi visited Rajasthan – publicly slapping Ahuja on the back and waving together at crowds of BJP supporters. In Mewat I speak to Rakbar’s wife, Asmina. “Show me how you raise seven children without a husband. How will I be able to raise them?” she says, wiping away tears. The trial of the three men accused of his murder has yet to take place, but perhaps we will never know what really happened to Rakbar. 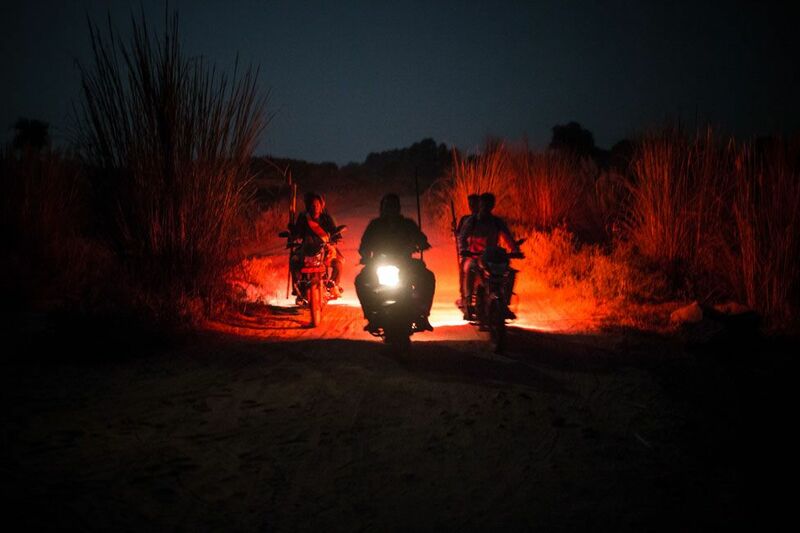 In November 2015, photographer Allison Joyce spent a night following Nawal Kishore Sharma’s vigilantes in the countryside near Ramgarh. 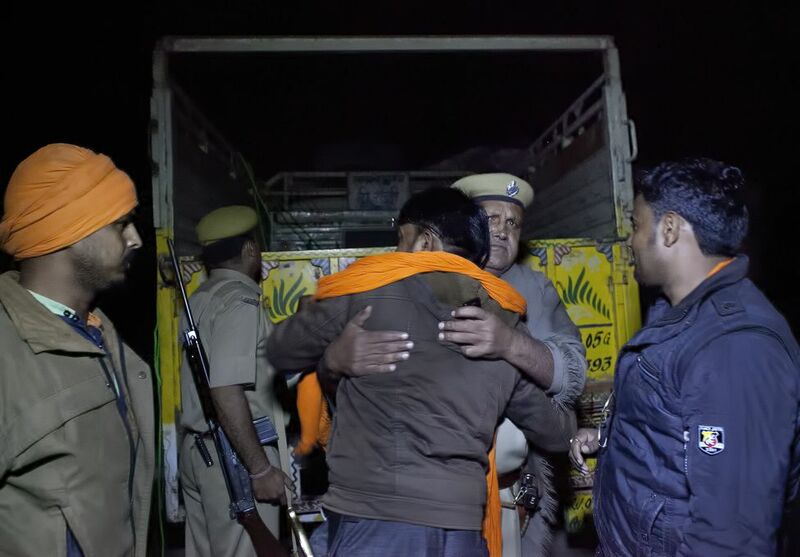 One of her photographs shows a police officer embracing Sharma after a shootout between the vigilantes and a suspected cow smuggler. 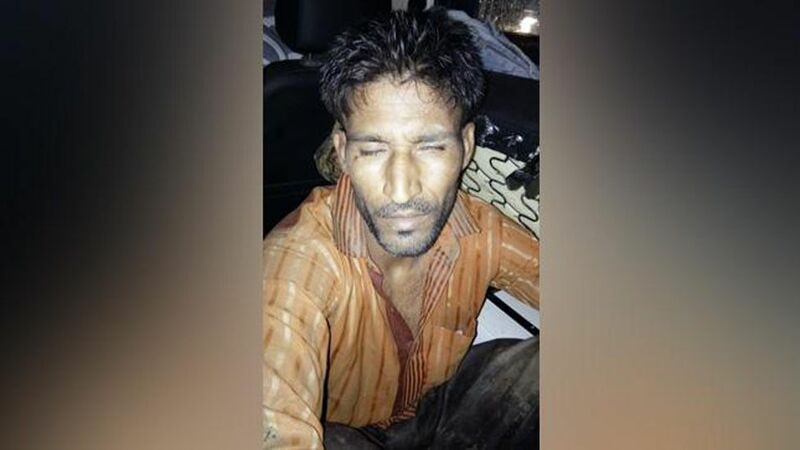 Though the police now accuse the cow vigilantes of killing Rakbar Khan, and the vigilantes accuse the police, the photograph illustrates just how closely they worked together. In the Indian media there have been claims that the police took the two cows that Rakbar had been transporting to a cow shelter, as Rakbar lay dead or dying in a police vehicle. There are also claims that the police stopped and drank tea instead of taking Rakbar to hospital. Whatever they did, they did not take Rakbar to hospital immediately. At a public rally in Rajasthan, PM Modi said attacks on Kashmiri youths after Pulwama terror attack help the enemies of the country. Prime Minister Narendra Modi on Saturday denounced reported attacks on Kashmiri youths in some parts of the country following Pulwama terror attack killing at least 40 soldiers on February 14. PM Modi said Kashmiri youths should not be targeted anywhere in the country. “What happened to Kashmiri youths in the last few days…It does not matter whether the incident was small or big, such things should not happen. Kashmiri youths are victims of terror. Every child of Kashmir is with India in our fight against terror,” said PM Modi. Former Jammu and Kashmir Chief Minister and National Conference leader Omar Abdullah welcomed the statement of PM Modi. “Thank you @narendramodi Sahib. Aaj aap ne hamaray dil ki baat keh di (you said what I have in my heart),” wrote Abdullah on Twitter soon after the prime minister made the comment at his rally. “Pakistan’s prime minister told me, ‘I am the son of a Pathan. I do what I say.’ It is time to test his words,” PM Modi said at his rally in Rajasthan. The prime minister said incidents like these “give power to Bharat ke tukde honge gang” and their supporters. “It is the responsibility of every Indian to protect every laal (child) of Kashmir,” he said. The prime minister served another warning to Kashmiri separatist leaders, many of whom were stripped of their security cover early this week. The Union home ministry had ordered to review the security provided by the government to the separatist leaders in the wake of Pulwama attack. Asserting that the government has moved swiftly to “avenge” Pulwama terror attack, PM Modi said all the major institutions of the world have condemned “the terror attack that was engineered at Pulwama”. “I am proud that our security forces sent the perpetrators (of Pulwama attack) within 100 hours to where they belong,” he said referring to encounter in Pulwama a day after the terror attack on Jammu-Srinagar highway, where a CRPF convoy carrying more than 2,500 jawans was targeted by a suicide bomber. A day after Pulwama terror attack, the government decided at a meeting of the Cabinet Committee on Security (CCS) to withdraw the most favoured nation (MFN) status granted to Pakistan in 1996. The government also hiked tariff on goods to be imported from Pakistan by 200 per cent. The external affairs ministry reached out to more than a dozen countries to corner Pakistan, which denied its hand behind the terror attack in Jammu and Kashmir despite Jaish-e-Mohammed, a terror group based out of that country, claimed responsibility for the attack on CRPF jawans. On Thursday, the United Nations Security Council (UNSC) passed a resolution condemning Pulwama terror attack. The UNSC named Jaish-e-Mohammed in its statement. The UNSC resolution was unanimously approved by all members including China, which has been shielding Jaish-e-Mohammed chief Masood Azhar from being declared as global terrorist by the top UN body. He listed out achievements of his government and talked about schemes such health insurance, One-Rank-One-Pension and electrification among others repeating the same slogan at the end. He also accused the Congress of misleading the people of Rajasthan in last year’s assembly election by making farm loan waiver promise. Rajasthan’s newly-elected Congress legislators on Wednesday asked party president Rahul Gandhi to decide the state’s chief minister. The Congress has two prominent front-runners for the leadership role, Ashok Gehlot and Sachin Pilot. “A resolution has been passed by the members in legislature party meeting. The final decision on the chief minister’s name will be taken by party president Rahul Gandhi,” a Congress leader said, reported PTI news agency. Ex-chief minister Gehlot proposed the resolution, Pilot seconded it. AICC General Secretary Avinash Pande and party’s observer KC Venugopal also sought individual opinion of party MLAs in the meeting, the news agency said. According to PTI, a Congress delegation will meet Governor Kalyan Singh at 7 pm to stake claim for forming the government in Rajasthan. “The governor has given an appointment to a Congress delegation at 7 pm today,” Raj Bhawan sources said. The delegation will be led by the chief ministerial candidate to be decided by Gandhi on the basis of feedback from the MLAs. The Congress won 99 seats out in the 200-member assembly where polling on one seat was deferred due to the death of a candidate, up from 21 in the 2013 elections. Ally Rashtriya Lok Dal (RLD) won one seat to take the total to 100 seats — the required number to form a government. While the BJP declined drastically from 163 to 73, Mayawati’s BSP, which was contesting separately, won six seats and has offered support to the Congress. The remaining 20 seats were won by independents.